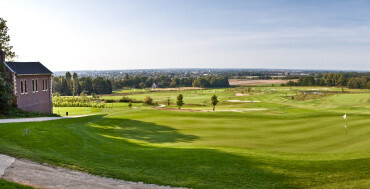 A leading golf tour operator has predicted that Thailand will become the world’s leading golf tourism destination by 2016 if the current rate of growth in golf holidays continues. Thai golf tourism is riding on the back of a tourism explosion to the kingdom, with total foreign arrivals doubling in the past seven years to more than 22 million in 2012. Mark Siegel, the principal of Thailand’s largest inbound golf tourism company, Golfasian, says the country’s golf tourism has also skyrocketed to an estimated 750,000 arrivals in 2012, up 50 percent in the past three years. If this pace of growth continues, Thailand will pass Spain as the world’s most popular golf tourism destination in 2015 or 2016. Siegel estimates golf tourism was worth 86 billion baht or $US2.88 billion in land arrangements alone to Thailand in 2012. “The past year and the high season now ending have been quite amazing,” he says. “For the first time in several years there was no impediment to Thailand’s huge international appeal – no floods, political unrest or local economic issues. Siegel expects 15 percent further growth in 2013 to more than 850,000 golf visitors, worth $US3.68 billion, with the one million mark in visitor numbers expected to be passed in 2015. This would put Thailand on an equal, or similar, footing with Spain, which has dominated international golf tourism for more than a decade, but has been losing market share to emerging destinations including Portugal, Turkey, North Africa and Asia, especially Thailand. Mark Siegel – who is also the founder of Golf In A Kingdom marketing collective that includes Thailand’s leading golf courses, hotels and resorts – says an estimated eight to nine percent of foreign visitors to Thailand play golf, whereas less than half a percent of Vietnam’s seven million foreign visitors and about one percent of Malaysia’s 25 million do so. The reason? 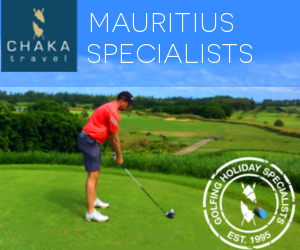 “Largely, because of the great experience of playing golf in Thailand – the courses, weather, caddies, tourism infrastructure, friendliness of the people, safety and cost. But Thailand also has led the way in promoting golf tourism,” he notes. “Golf is one of Thailand’s four official tourism marketing pillars and, consequently, the government has put a big effort into promoting golf tourism. Just as Asia itself is the major supplier of all tourists to Thailand – about 13 million of 22 million or 60 percent of the total – the same applies to inbound golfers. About two-thirds – some 500,000 in 2012 – come from Malaysia, Japan, Korea, Singapore, India and, increasingly, China. Although relatively small in visitor numbers, North America is also target. 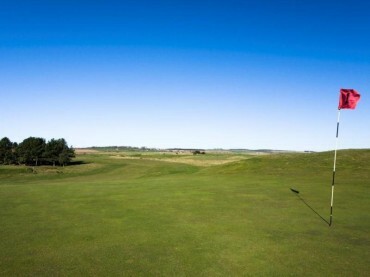 In May, Golf In A Kingdom is to be officially launched to international media, with 40 writers and editors including 10 from North America invited. Stacey Walton, the general manager of Banyan Golf Club near the southern resort centre of Hua Hin, says the December to February high season has been a record in both rounds played and revenue for the six-year-old course. “We’re expecting 2013 will be even better with 45,000-plus rounds on the course,” he says. 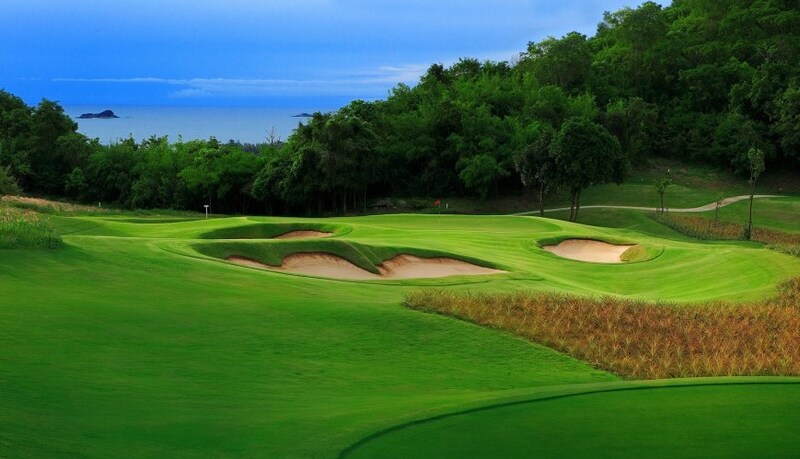 At nearby Black Mountain Golf Club, which opened in 2007 and has twice been named the best course in Thailand, general manager Harald Elisson says the course has been full every day of the high season. “It has been an extremely good year, but so has every year since we opened,” he says. Owned by Swedish interests, Black Mountain has developed a fully-integrated resort on the property with a championship and par-3 course, condominiums and villas, a water park and wakeboard park, spa, tennis and other facilities. Meanwhile, the CEO of the International Association of Golf Tourism Operators, Peter Walton, says 2012 was a good year for golf tourism, with winners and losers. “Thailand is an interesting case because the golf courses have been brimming with international golf travellers, which, for those familiar with the dramatic surge in tourism Thailand is experiencing might take for granted. “But the largest increase in general leisure tourism to Thailand has come from the Russian and Chinese markets. This is not where the growth in golf has come from. Russia is not a significant golfing market and China is still a few years away from being a market leader in golf travel. Footnote: IAGTO’s second annual Asia Golf Tourism Convention is to be held in Pattaya, Thailand in late April. 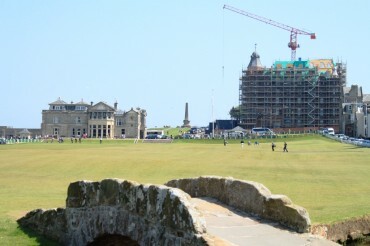 The organisation, which is the peak golf tourism body worldwide, has just completed its first international golf tourism survey, results of which ate to be released in the next few weeks.